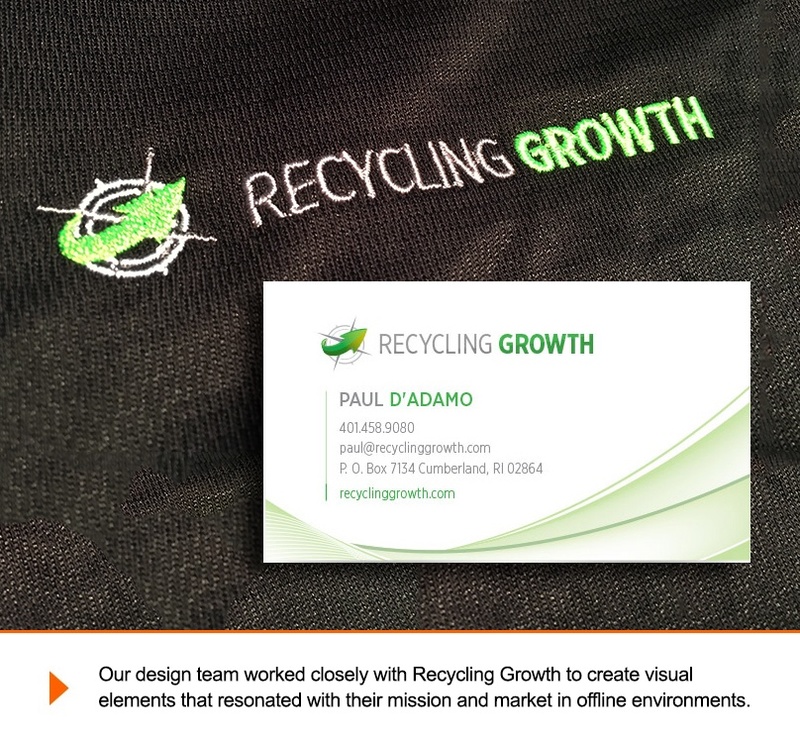 After selling their successful auto recycling business in 2013, Paul and Lynn D’Adamo sought out to take on another piece of the industry pie with a business concept that would provide coaching, training, and consulting services to auto recyclers across the nation. 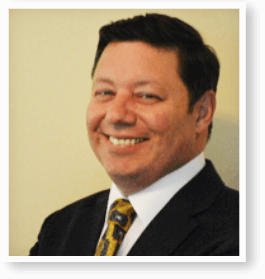 Often overlooked when compared to the captivating presence of today’s major automotive manufacturers, automotive recycling is a $32 billion-a-year industry essential to the efficient, environmentally responsible recycling of vehicles. 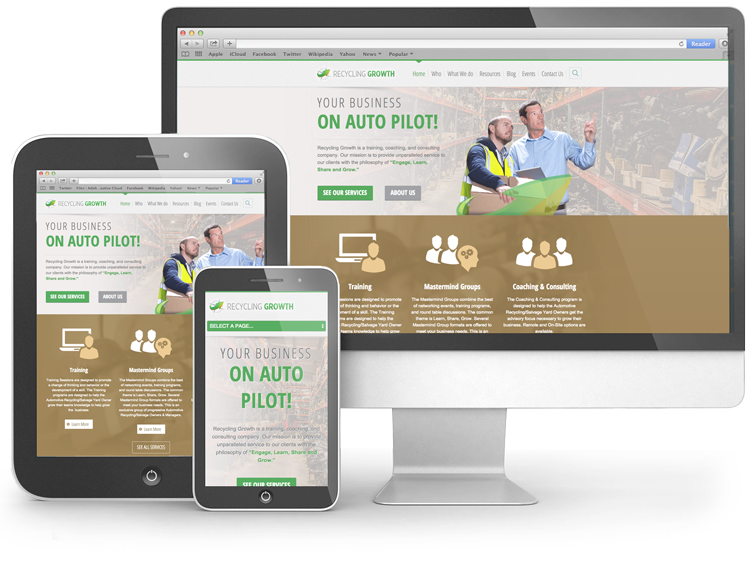 Paul and Lynn, who are among a small percentage of auto recycling owners that were able to grow and sell their business, set out to provide this rapidly changing market with a range of much-requested resources that would allow yard owners to run their business on autopilot. 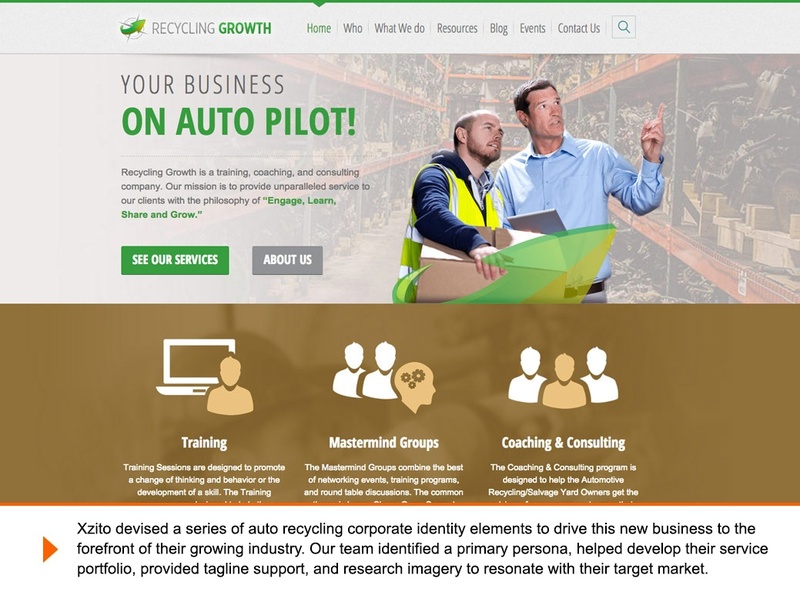 With only a business concept (and decades of experience) in hand, Recycling Growth needed to devise a compelling auto recycling corporate identity including brand, web, and marketing strategy. 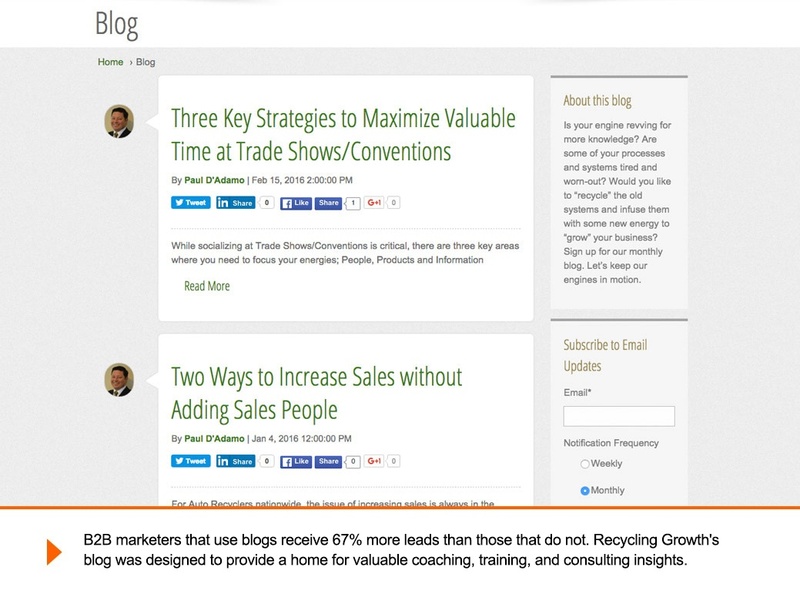 In order create an undeniably palpable link between Recycling Growth and their target market, Xzito devised a series of auto recycling corporate identity elements, such as marketing, web, and product strategies, that would drive this brand new business to the forefront of auto recycling consulting. We created a cohesive brand style guide that propelled visual elements from the website, down to the business cards placed in prospective customer’s hands. Our extensive background in website design and development allowed us to make strategic and technological recommendations that would power memorable customer experiences. 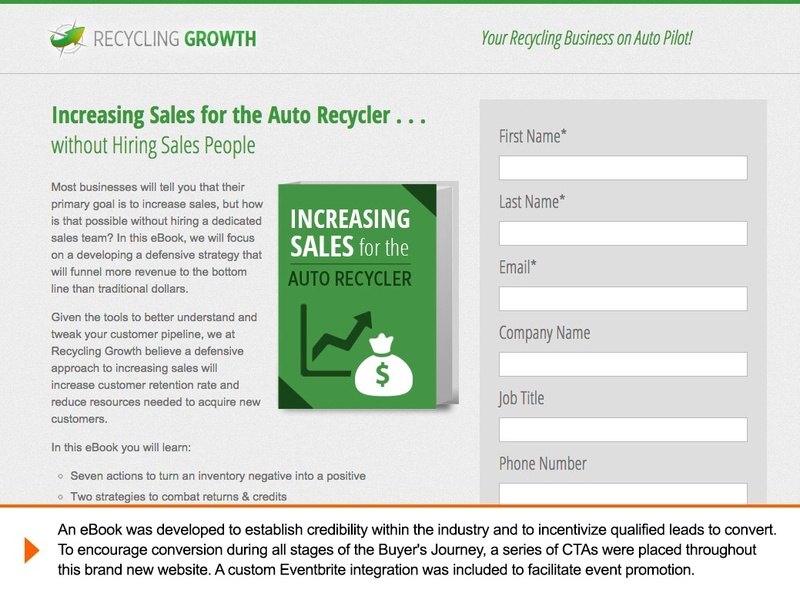 To augment all of these new assets, both digital and physical, Xzito constructed an inbound-centric marketing program to help Recycling Growth take the wheel and begin generating traffic to convert new auto recycling leads.